Stay Tuned For Our Future Alfio Nights! Check Out Our New Early-bird & Family Style Menus!!! 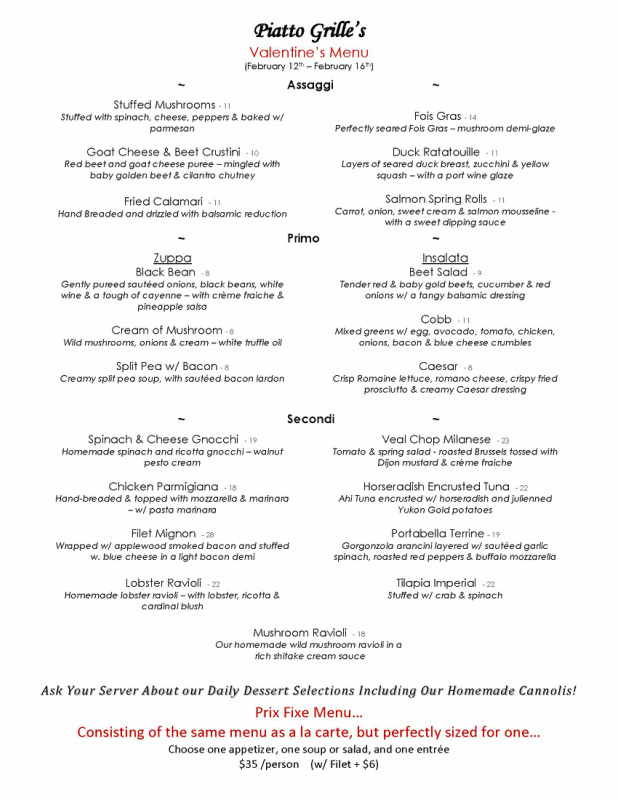 Piatto is happy to introduce our new early-bird menu, as well as our family style menu! Check them both out here. The Early-bird starts at $13.99 for soup, salad & entree - as long as you order by 6pm. Our new family-style menu starts at $39.99 and feeds 4 (two adults, two kids). These deals can't be beat.. Check them out now!